Never miss a sunset from this amazing beach house filled with light and spectacular ocean & vista views. Completely remodeled with an open floorplan, hardwood floors, new windows, fireplace, and energy efficient solar system. Master suite with walk-in closet, designer bathroom with travertine stone tile, private manicured yard and garden. Awesome rooftop deck with more VIEWS! 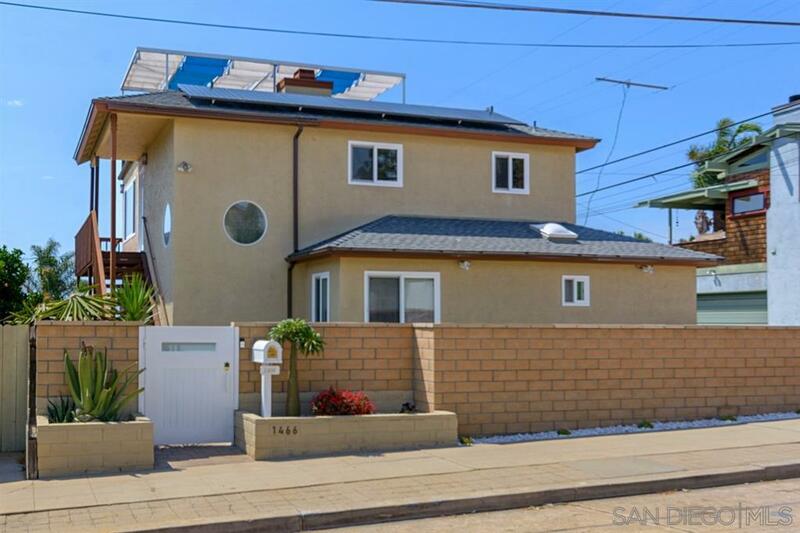 Come enjoy the Surf, Sun, Views, and Fun all year long!, This home also has paid solar and current payment is 0 for electricity. There is also a lovely vegetable garden and current owner has been receiving $5,000 a month in rent long term tennants. Welcome home.